Story: The Indonesian Judge - Something New Everyday! An Indonesian judge by the name of Marzuki was sitting in judgment of an old lady who pleaded guilty of stealing some tapioca from a plantation. In her defense, the old lady admitted to the Judge that she was indeed guilty of the crime because she was poor and her son was sick while her grandchild was hungry. The plantation manager insisted that she be punished as a deterrent to others. The judge going through the documents then looked up and said to the old lady, "I'm sorry but I cannot make any exception to the Law and you must be punished accordingly". The old lady was fined Rp.1 million (USD 100) and if she could not pay the fine then she will be jailed for 2 1/2 years as demanded by the Law. She wept as she could not pay the fine. 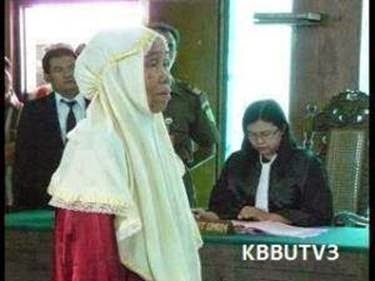 The Judge then took her hat and put in Rp.100,000 into the hat and said, "In the name of justice, I fine all present in the Court @ Rp.50,000 (USD 5.50) each as dwellers of this City for letting a child starve until her grandmother is compelled to steal to feed her grandchild. The Registrar will now collect the fines from all present." The Court managed to collect Rp 3.5 million (USD 350) including the fine collected from the plantation manager, whereby the fine was paid off and the rest was given to the old lady! Will we ever see such a thing happening in our courts ? I've learnt.....that being kind is more important than being right.